Congenital heart defects (VPS) are a defective condition that affects various parts of the heart and large vessels close to it, which is determined immediately after birth. Many children with such disorders do not survive, but in some cases surgical treatment can be performed, which allows the child to continue to lead a normal lifestyle. Among children, congenital heart defects are found relatively commonly, in about 1% of the newborns from the total. Timely assistance to a sick child is based on timely and proper diagnosis. In some cases, a very rapid surgical intervention is required that allows you to save a person's life. Defects can be acquired, so it's important to know how different they are from those born. The defect of the interventricular septum occurs most often - in 31% of the total number of newborns with heart defects. Almost 8% of newborns are diagnosed with stenosis of the aorta. About 7% of patients have stenosis of the valve of the pulmonary trunk, non-arterial arterial duct and defect of the septum located between the atria. Almost 6% of cases have stenosis of the aortic valve. Up to 5% come from Fallot's notebook. Q20 - Congenital anomalies of heart cells and compounds. Q21 - Congenital anomalies of the cardiac septum. White flaws - with their development, venous blood does not mix with the arterial blood, because the blood discharge is carried out from the left side to the right. Blue vices - their occurrence is accompanied by a mixture of venous blood with arterial. A blood discharge occurs from the right side to the left. In most cases, hereditary factors, which are the cause of congenital heart disease, are considered. Also external factors of influence may influence the fetus, which are often combined with the same hereditary predispositions. It is most often presented in the form of local mutations or chromosomal changes, which lead to larger or smaller developmental malformations. Today, trisomy of different pairs of chromosomes, which in 8% of cases cause the air force, are distinguished. The most common, arising from the background of gene mutations, are defects of the interstitial septum, defects of the interventricular septum, violations of electrical conductivity, and disturbance of the outflow of blood. the development of congenital heart defects plays an important role adverse effects, most often directed from the outside to the body developing in the womb. Under their action, mutation of certain parts of DNA occurs, resulting in disturbed normal formation of the cardiovascular system. Physical phenomena, among which the radioactive radiation is particularly affected by the fetus. The chemical components of various alcoholic beverages, cigarettes, some medical preparations, and also mutagens are in poor quality paint and varnish products. Biological effects can be realized through various infectious diseases occurring in a pregnant woman. Most often, heart disease causes rubella, and cancers may include congenital changes in diabetes mellitus, systemic lupus erythematosus, phenylketonuria. In the 70s of the last century, studies were conducted that confirmed the connection between heart malformations and gender. For this purpose, more than 30 thousand were surveyed. patients on the Air Force, resulting in congenital heart defects divided into "neutral", "female" and "male". For example, girls are more likely to be diagnosed with Lautembahera's disease, an open arterial duct, and a high probability of developing a defect of the interstitial septum of the secondary type. Boys often have stenosis and coarctation of the aorta. 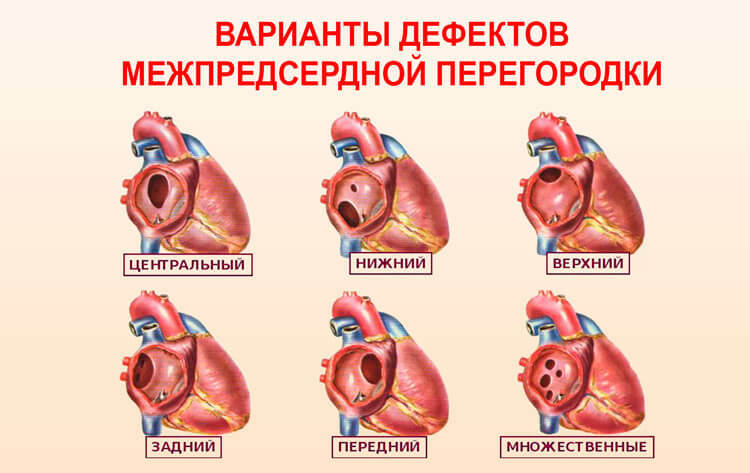 "Neutral" is considered: an abnormality of Ebshtein, a complete defect of the atrial-ventricular septum, pulmonary artery stenosis, defect of the septum between the aorta and the lung artery, and also the defect of the interventricular septum. 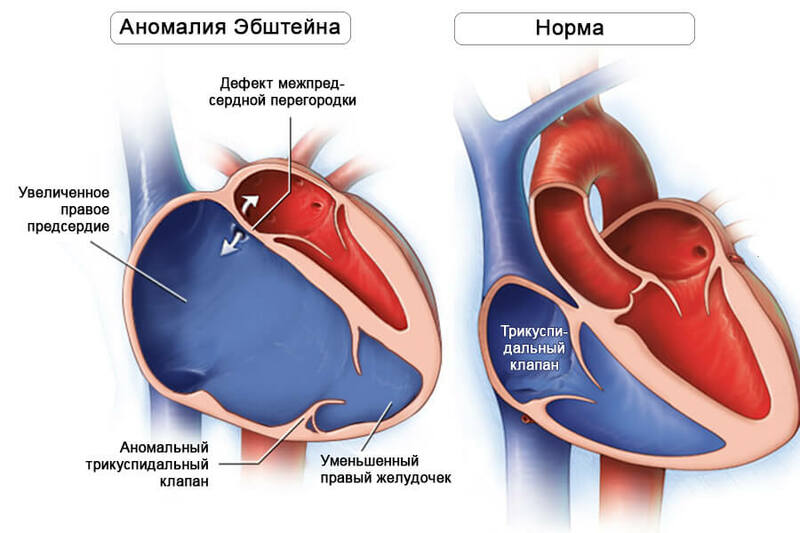 The first one - in the absence of severe hemodynamic disturbances, compensatory mechanisms are introduced that provide more or less normal activity of the heart. The presence of significant changes in hemodynamics leads to hypertrophy of the myocardium and decompensation. The second one is the relative compensation when the physical activity of the child improves somewhat. The third is the terminal state. It manifests itself at significant dystrophic and destructive disorders, due to the developing decompensation. Attaching infections or diseases of other organs brings about fatal outcome. Quite often found in the female part of the population. Characterized by the presence of a hole or several defects in the partition separating the right and left atrium. Depending on the location of the defect, its magnitude, the current blood flow from the left atrium to the right is determined more or less pronounced clinical signs. Also, the condition of the patient is affected by the presence of other anomalies or congenital malformations. For example, a defect of MSP can be determined in Down syndrome and combined with other anomalies of the heart. 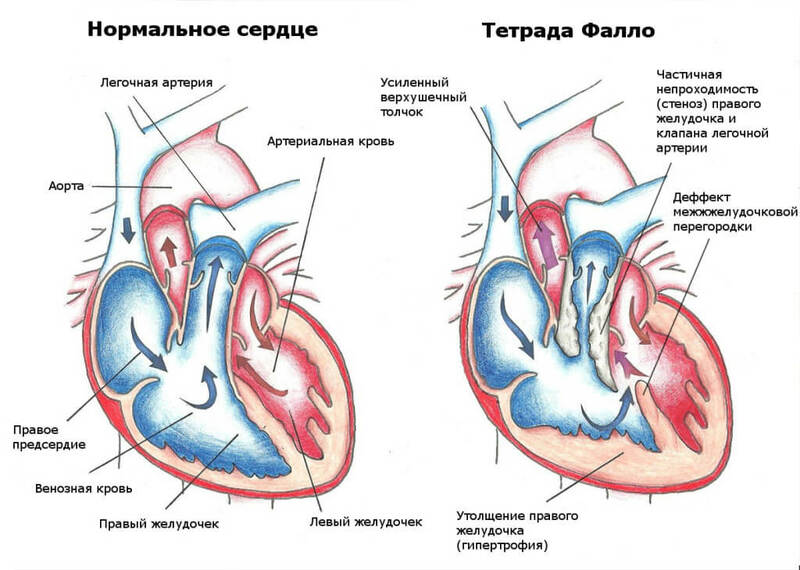 During a false intrauterine formation of the heart, a defect of the interventricular septum may occur, due to which the blood from the left ventricle enters the right one. The presented UPU can occur both isolated and along with other heart defects and development. The frequency of occurrence among boys and girls is almost the same. Violence is dangerous because it can cause pulmonary hypertension with all the consequent consequences, so it should be timely respond to surgical treatment. In 7.5% of cases, all of the air force falls on the present pathology. It is often determined by boys and is often combined with other congenital heart defects. For coarctation of the aorta, the segmental narrowing of its lumen is characteristic, as a result of which the blood from the left ventricle can not normally enter into a large circle of blood circulation. 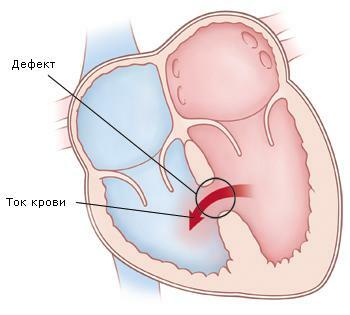 It is considered to be an innate heart disease, in which the Botallis duct, defined in the newborn, does not grow further, due to which arterial blood from the aorta is partially dumped into the pulmonary artery. In most cases, the pathology does not cause severe clinical manifestations, but it requires surgical correction, since in adulthood it can cause a sudden cardiac arrest. It represents a complete or partial failure of the valves of the pulmonary valve, due to which the lung hole completely does not close. The blood pushed out by the right ventricle into the pulmonary artery, partly returns through the loosely closed valves, causing the ventricle to be applied every time more force to push out a large portion of the blood. Additionally, in the lungs there is an insufficient amount of blood, which in turn leads to a lack of oxygen in the body. For various reasons, the lung hole may have smaller dimensions than it normally does. In addition, the flaps of the pulmonary valve themselves may have anomalies, due to which the lumen is narrowed, or their discovery does not occur completely, as a result of which the bloodstream can not normally move from the right ventricle to the pulmonary trunk. To sell blood through a narrowed hole, the ventricle has to work with greater force, which affects its functionality. With this pathology, arterial blood is mixed with venous. Also, through a narrowed hole in the pulmonary artery, blood is difficult to pass into a small circle of blood circulation. All this leads to oxygen deficiency, which is expressed in the appropriate clinic. Relates to very complex congenital malformations, occurs in 5% of the total number of cases. Trunk vessels - the main vessels of the heart, which is the aorta and pulmonary trunk. With this pathology, they are located relative to the ventricles differently than normal: the pulmonary trunk departs from the left ventricle (in norm - from the right), and the aorta - from the right (in norm - from the left). Since the oxygen-enriched blood does not fall into a large circle of blood circulation, newborns with such a pathology die very quickly. 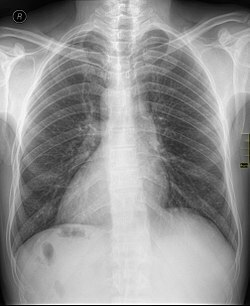 Congenital anomaly of development, which is characterized by right-sided placement of the heart in contrast to the left-hand side, determined in norm. That is, the heart, along with all the vessels coming out of it, is located mostly on the right side of the chest cavity. Such a pathology often combines with the "mirror" arrangement of other odd internal organs. If dextrancardia is not combined with other congenital heart defects, then in hemodynamics there are no signs of life-threatening or health-changing changes. A rare anomaly, which accounts for about 1% of all air forces. With this pathology there is a change in the location of the flaps of the three-leaf valve. Normally, they come from the atrial-ventricular ring, and with this pathology - from the walls of the right ventricle. As a result, it turns out that the right ventricle is smaller, and the right atrium is elongated to the anomalously arranged valves. The defect of the valve can be combined with other defects in the type of non-activated oval hole, etc. The lack of timely operational help leads to the immediate development of heart failure and death of the patient. It is carried out by conducting a survey, examination, instrumental and laboratory examination of the patient. In some cases, it is very important to diagnose early on, as this may depend on the patient's life. pens and legs are cool, even if the baby is warmly dressed. additional tones can be defined in the form of the third and fourth. In addition, frequent respiration may occur, with the expansion of intercostal intervals, as well as different blood pressure when compared to hands and feet. 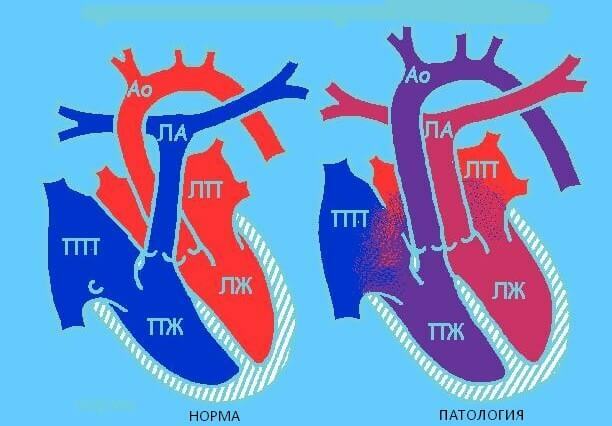 In some cases, the borders of the heart and the liver increase. Cardiac - is associated with complaints from the cardiovascular system. Heart failure - can occur in both acute and chronic forms. Respiratory disorders - manifested by signs of oxygen enrichment in the small circle of blood circulation. Chronic systemic hypoxia - there are signs of drum sticks, watch glasses, lag in physical development. Electrocardiography - with its help it is determined hypertrophy of the right and left ventricle, hypertrophy of the right atrium, as well as in the stage of decompensation, dilatation of the right atrium can be determined. Echocardiography - allows to evaluate intracardiac hemodynamics, as well as to find out the nature of congenital anomalies. 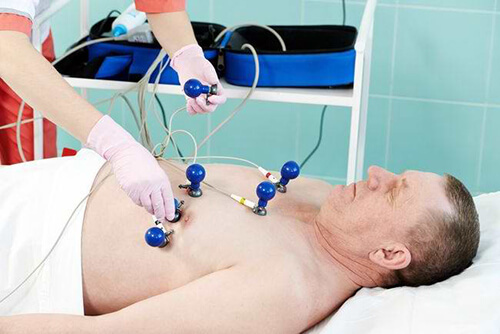 Echocardiograms are performed together with ECG or PKG, then the maximum information can be obtained. Catheterization of the heart - is conducted for the purpose of determining the pressure in various parts of the heart along with intracranial ECG. It also reveals the gas composition of the blood, which at defects can be at the level of arterial hypoxemia. Angiocardiographic examination - In cases of congenital malformations, a large enlarged right anatomic cavity is often determined. In such cases, the contrast agent is removed from the right atrium for a long time, which is mainly due to pathological hemodynamics. Electrophysiological study - this method is shown to all patients with heart flaws, since it identifies the localization of the pathological focus together with abnormal blood flow paths. The main help for patients with congenital heart defects is through surgical intervention. Auxiliary therapy is the use of medication. Conducted in exceptional cases. 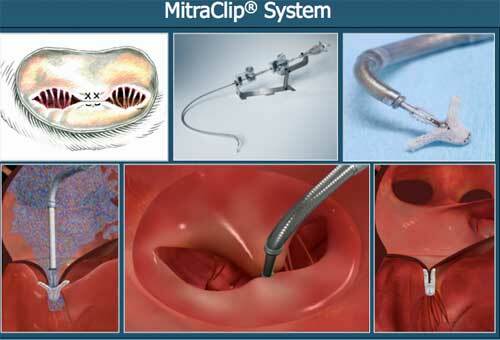 For example, radical drug treatment is used for open aortic duct. Then indomethacin is prescribed for its infection. Symptomatic treatment is performed with the development of such complications of UPI as heart failure (acute and chronic), arrhythmia, syndrome, cystic acid attacks, ischemic heart disease. It is carried out with the aim of eliminating the anomaly of the heart, which helps to improve intracardiac hemodynamics. When determining the heart defect during the intrauterine period, the question of the volume and optimal method of surgical intervention is solved. The first phase is considered to be emergency, so the operation is performed in an emergency. Much depends on individual characteristics of the patient, but in standard cases, when a small circle of blood circulation is impoverished, an artificial bottle of ducts is created, and in case of its enrichment, stenosis of the pulmonary artery is created. The second phase - corresponds to those vices that slowly progress, therefore, operative treatment can be carried out in the planned order. A more accurate method of treatment depends on a specific hemodynamic disorder. The third phase - characterized by the progression of cardiosclerosis, which is accompanied by a general exhaustion. Dystrophic and atrophic changes in internal organs, as well as other irreversible changes, are observed, due to which surgical treatment is not performed in this phase. Virtually all congenital heart defects develop heart failure, which can be acute or chronic. In addition, blue vices (that is, those with which cyanosis of the skin is observed) may be complicated by bacterial endocarditis. In newborns with congestive events in a small circle of blood circulation, pneumonia often develops, whereas an increase in pressure in the pulmonary artery leads to pulmonary hypertension. 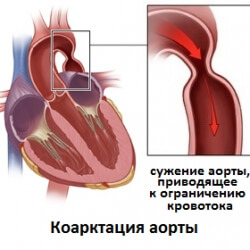 With various violations of localization and structure of the aorta with arteries leaving it, a stenocardial attack, myocardial ischaemia may occur up to a heart attack. If, however, the stenosis of the aorta is so pronounced that blood does not enter sufficiently in the brain, then there are syncope and semi-immortal states. Shortness of breath with cyanosis is a consequence of various severe disorders such as Fallo tetrads and disturbed placement of large vessels. The prognostic conclusion largely depends on how early it was diagnosed correctly and whether radical treatment is possible. If the operation was successful, then the forecast is considered relatively favorable. The presence of contraindications to surgical intervention in most cases is the reason for a disappointing predictive conclusion. No specific preventive measures are available. The only thing, in the presence of a kind of congenital heart defects, is to weighed towards the question of the continuation of the family. There is a very high probability of a child's birth with an air force in the presence of any innate pathology in the mother or father, and even more so in both parents at the same time. If, however, the pregnant woman is aware of the hereditary predisposition to developmental malformations, then doctors should be informed about such a woman from a woman's consultation. In such cases, ultrasound is necessary, with several times in different periods of fetal development of the fetus. Genetic analyzes can also be carried out, which allow a high probability to assume the birth of a child with a developmental disorder. Before pregnancy, you need to be screened for TORCH infection, the presence of which increases the risk of occurrence of congenital malformations, including the heart. If a girl did not have rubella in her childhood, then long before her pregnancy she should be vaccinated against this disease in order not to get sick with her during the period of bearing the fetus. During pregnancy, you should be very careful about taking different medications, so it's best to re-question and recheck several times than to harm your child's health. Pregnant women, and even better before conception and during breastfeeding, can not categorically smoke or drink alcohol. What heart examinations do you have? In diagnostics of cardiovascular diseases an important role is played by timely diagnostics. It is often enough to conduct a standard ECG to make a correct diagnosis. In other cases, a diverse study of the heart is required, which allows you to establish the exact cause of the illness and conduct an effective treatment. Among all diseases of the heart a special place is occupied by valvular defects, still known as valve stenosis, valve failure, valve prolapse. A large number of people around the world and at different ages are determined by heart defects. In some cases, they are not worrisome, and in others, urgent surgical intervention is required. There are a number of serious pathologies of the circulatory system that can lead to serious consequences. One of them is a vascular thrombosis, in which arteries, veins, and capillaries can be affected. 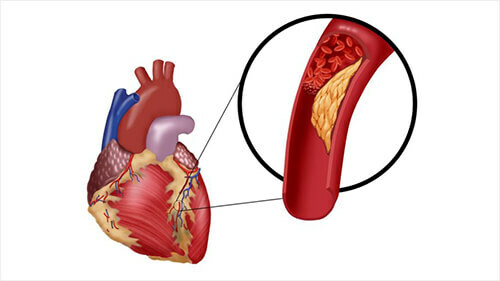 But the most dangerous condition is the formation of blood clots inside the heart. Such a violation must be eliminated as soon as possible, otherwise serious consequences may arise.